Here is one example of how they stole the elections through manipulation of figures country. As can be seen in this G12 form for Chawama’s Batoka A polling station, Lungu got 341 votes while Hakainde Hichilema got 139 votes. 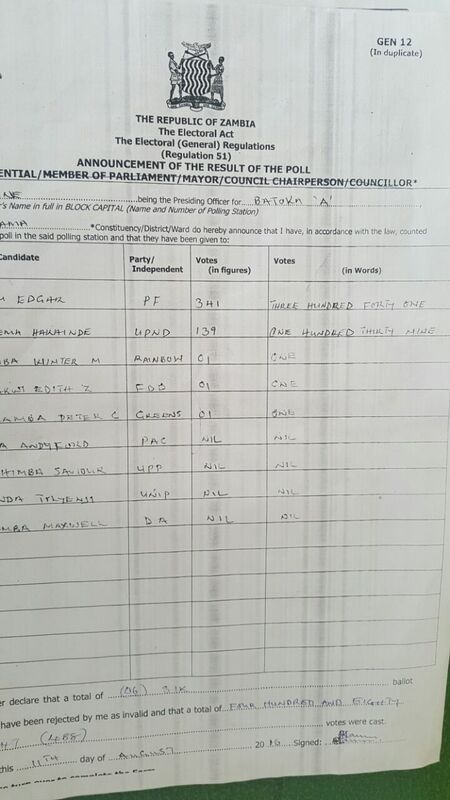 But the results that have been reflected in the record at the totalling centre which have also been presented in the final is Lungu 1051 while Hakainde Hichilema has been 348 votes. Apparently they gave HH a small increase while they gave Lungu a huge increase in votes. And the Zambian Watchdog will keep showing this evidence across the country. 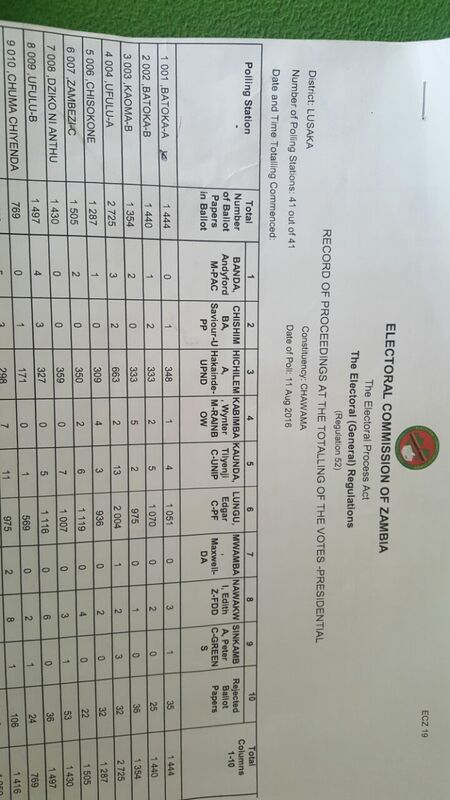 Check also the results for other candidates that do not tally with the GEN 12 documents and the finally tally.